Would you like to play a key role in recruiting coaches, advocating coaching and helping them to unlock their potential? Coaches play a key role in igniting a lifelong love of the game, inspiring and supporting players to develop and helping them enhance their skills. As cricket continues to grow and reach a wider audience there is an increasing demand for coaching. We know that players who receive coaching are more satisfied with their cricketing experience and more likely to recommend the game to friends and family. Fundamentally, cricket needs more people joining the coaching family. Word of Mouth is crucial in promoting coach development and we know that coaches are hungry to learn and develop but sometimes they don't know what is available to support their development and improve players experience. The ECB have developed an e-learning workshop to help volunteers that are currently responsible for identifying, recruiting and supporting coaches. The e-learning workshop is also available to anyone who wishes to get involved supporting the growth and development of coaching in their setting. 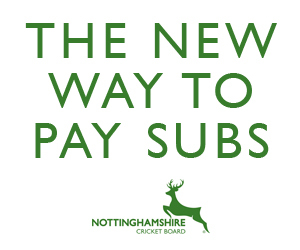 We are looking to select up to five people from Nottinghamshire initially to apply within the first month for the initial launch and then following evaluation of this first phase, we will then open up the application process to a much wider audience ahead of the new season and we will be able to support more people in their efforts to recruit coaches, advocate coaching and support coaches. To get involved please click here to complete the application form. 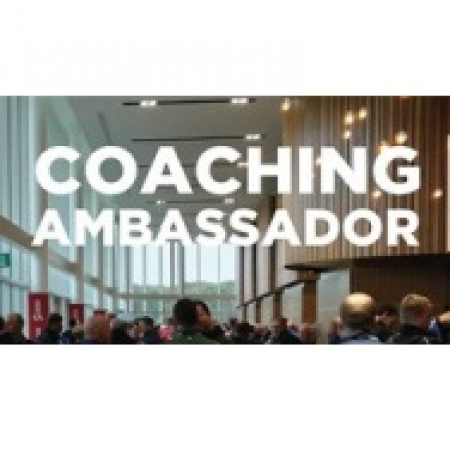 After completing the application you will receive access to the Coaching Ambassador e-learning workshop.